BELGRADE, May 21 2014 (IPS) - The Balkans region is living one of its most horrible springs ever, after the worst flooding in 120 years took 47 lives and witnessed evacuation of dozens of thousands of Bosniaks, Croats and Serbs in a matter of days last week. “This is the worst post-war disaster in Bosnia,” President of Bosnia-Herzegovina Bakir Izetbegovic told reporters in Sarajevo on Monday, describing the deluge in the country, while Serbian Prime Minister Aleksandar Vucic dubbed the floods as “historic” and “catastrophic” only a day earlier. Meteorologists in Bosnia, Croatia and Serbia agreed that only three days of unprecedented torrential rains in what used to be former Yugoslavia last week brought the equivalent of three months’ rains for the region. Izetbegovic told journalists that the disaster saw “biggest movement of population in Bosnia since the war”, as dozens of thousands in the nation of four million were displaced in a matter of days, looking at their homes disappearing under the river torrents or in one of 3,000 landslides in affected areas. About one million people are without drinking water, he added. In Serbia, more than 30,000 have been evacuated from the city of Obrenovac, only 33 kms south west from the capital of Belgrade. It houses the biggest thermal power plant “Nikola Tesla” that supplies electricity for half of Serbia. It seems to be doing it again now, although Yugoslavia has no longer existed since 1991. “I was surprised to see a guy in a uniform which was not Serbian, waiving his hand and calling me to a boat,” says Ivica Marjanovic (63), evacuated at the weekend from Obrenovac. “Only when he spoke, I realised he was Croatian … He smiled, I smiled and went into the boat … I didn’t expect a Croat to save me,” Ivica told IPS in one of Belgrade’s sports halls which serves as shelter for the evacuated. Yugoslavia fell apart in bloody wars after Serbia opposed Bosnia’s, Croatia’s and Slovenia’s independence moves. The wars lasted until 1995, taking the harsh toll of more than 120,000 lives, most of them non-Serbs. “We had a unique experience,” a Slovene helicopter pilot who declined to give his name told IPS. “We took a woman from Obrenovac to a hospital in Belgrade and she gave birth to a healthy baby only an hour later … We are professionals, we’re used to such things, but somehow it’s different when we’re in Serbia than when we’re in, say Italy … Maybe the common roots are responsible for that,” he added. Slovenia and Croatia sent 30 members of their rescue teams in helicopters, bringing inflatable boats, water pumps and water filtering equipment to Serbia. Macedonians collected food with long shelf life and sent trucks with bottled water to flooded areas. Montenegro sent a military unit that participated in evacuating the worst-struck Obrenovac area in Serbia, together with Serbian police and military. The Croatian Highway Authority (HAC) announced that otherwise hefty tolls would not be paid by vehicles carrying humanitarian aid to flooded areas. 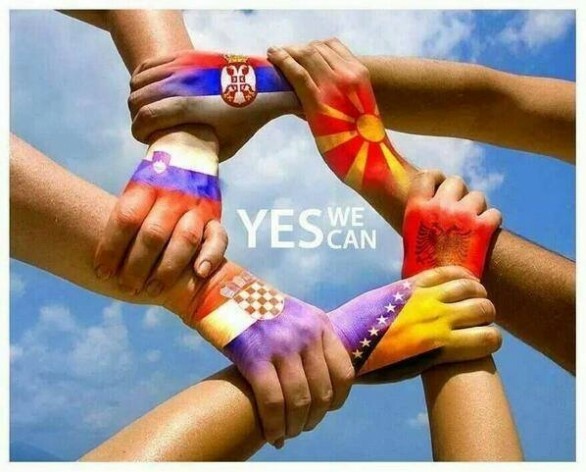 “This comes as no surprise, this solidarity,” said Goran Svilanovic, Secretary General of Regional Cooperation Council (RCC) (www.rcc.int), an organisation that supervises efforts for improved cooperation and reconciliation in former Yugoslavia. “It should be appropriate for all the nations struck by tragic floods to take joint action before the European Union and jointly ask for financial aid,” Svilanovic told IPS. “Going before the EU separately would not be as effective,” he added. Serbia is a candidate for the EU membership, while Bosnia-Herzegovina has not reached the status yet. Croatia and Slovenia have already joined the 27-member family of European nations. Conservative estimates have put the amount of damages at half a billion euros (685 million U.S. dollars). To ordinary people in the region, the re-birth of solidarity among former Yugoslav nations does not seem odd. “Our languages are more or less the same, our way of life as well; we have common heritage,” says Selma Sebo, a 43-year-old from the Bosnian town of Tuzla. “Our disaster is the same, that’s why we can feel for each other,” she told IPS over the phone.